STORY: To celebrate the monumental Twenty-20 double hitter series between the cricket teams of New Zealand and India, the four teams gathered in Auckland to attend a cultural program on Thursday (February 07). The event was held to celebrate the long standing relationship between India and New Zealand. Indian men’s cricket team captain Rohit Sharma expressed his content at the progress and importance of women’s team in the last few years. 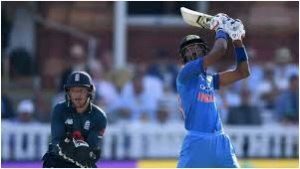 Earlier on Wednesday (February 06), both the men’s and women’s Indian team lost to their respective Kiwi counterparts in their first T20 matches in Wellington. The teams will face each other on Friday(February 08) at Eden Park stadium in Wellington.